Incoming Mail. 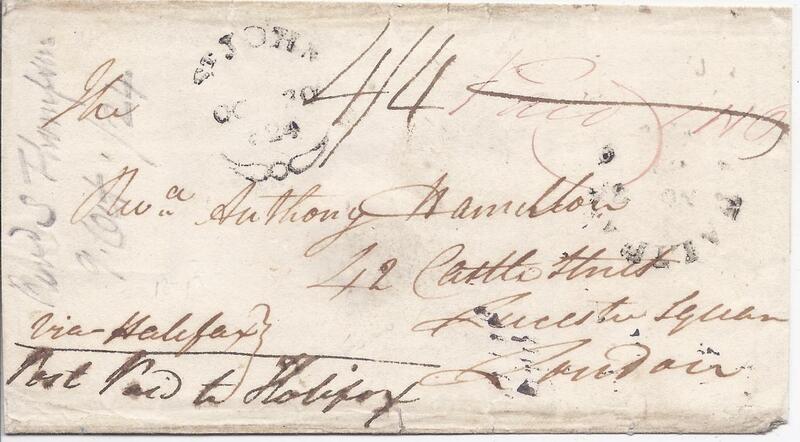 1802 entire to Frederickton, New Brunswick with two-line Beverley despatch, red framed tombstone date stamp, various manuscript rate markings, reverse with two-line HALIFAX date stamp showing incorrect year, light vertical filing creases. 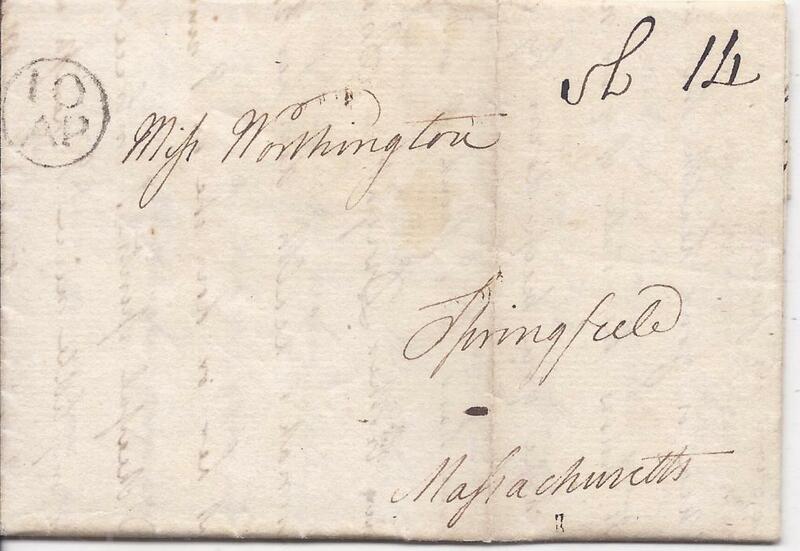 New Brunswick 1799 family entire to Springfield, Massachusetts, USA bearing circular framed 10/AP handstamp and manuscript at right,vertical filing crease. 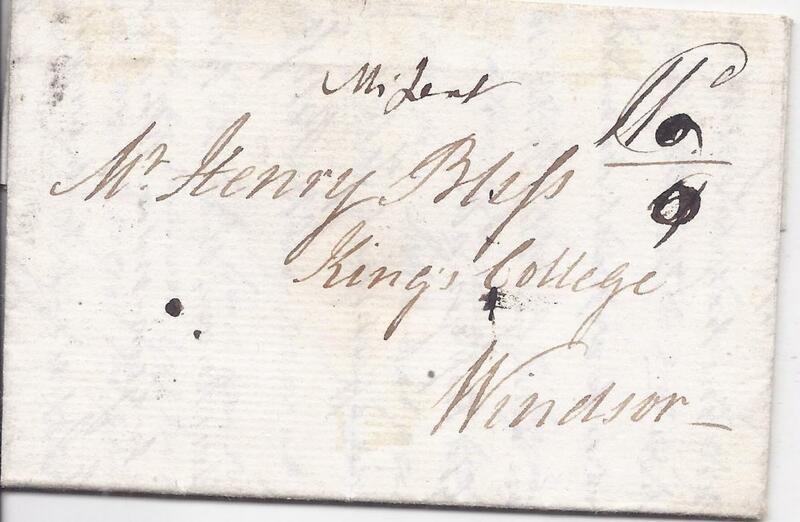 an early ship letter. 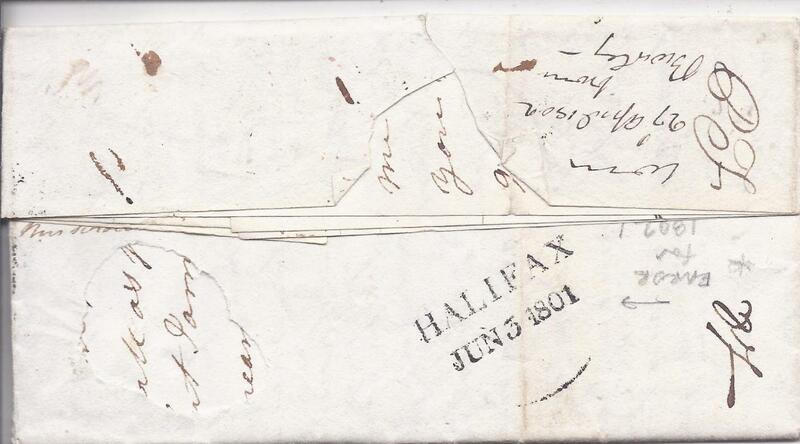 New Brunswick 1800 entire to Fredericton rated 1s.2d. 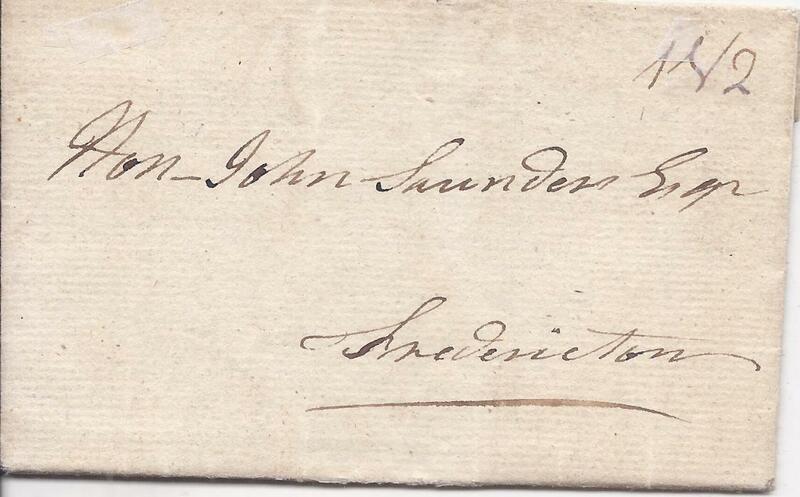 on front, reverse with good two-line 'St. John. 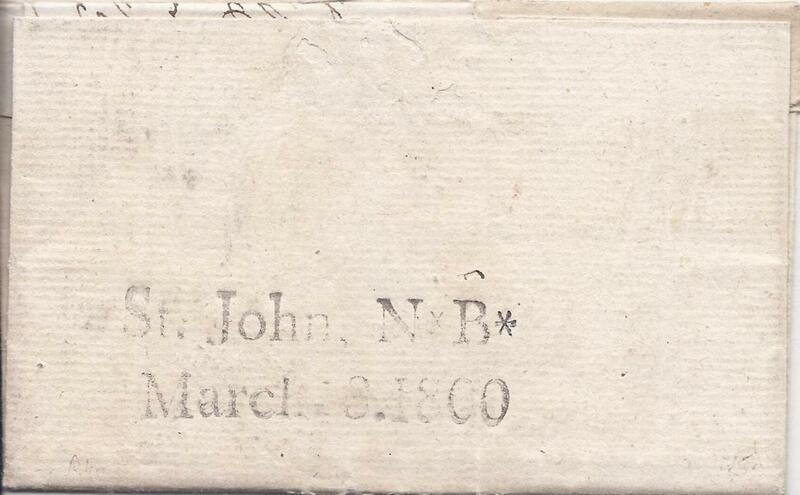 N*B*/ March 8.1800 despatch date stamp. 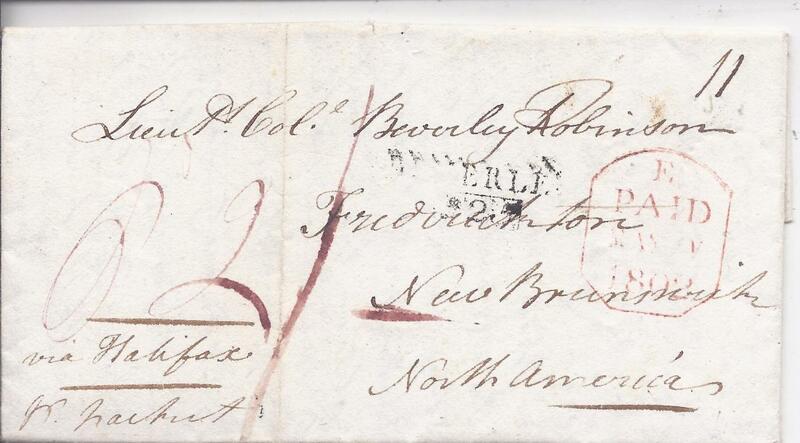 New Brunswick 1824 outer letter sheet to London bearing good strike of St John�s fleuron, endorsed �Via Halifax� whose less clear cancel appears at right, postage was prepaid to there with the manuscript rate annotation crossed out, when in Halifax a double rate �4/4� charge was raised. Carried on �Marquis of Salisbury�, departing on Feb 22 as the first sailing of the year, arriving in Falmouth March 12. Received in London on March 15. 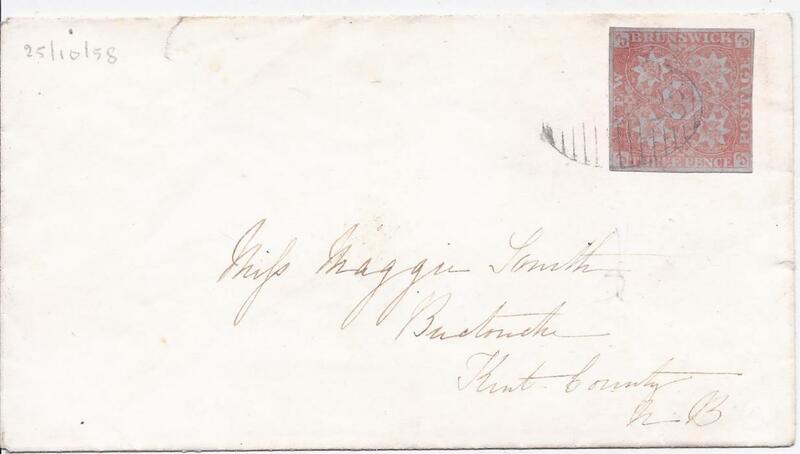 New Brunswick 1858 internal cover bearing 3d. dull red with good to close margins, tied full grid of bars; Vincent Graves Greene Certificate 2004.